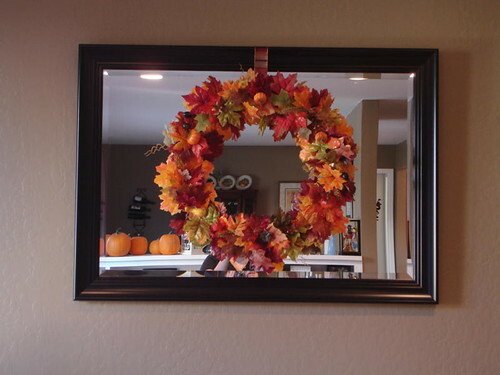 Last week I showed you how to make a Fall Wreath using dollar store items. Karin, an HoH reader, had this to say! 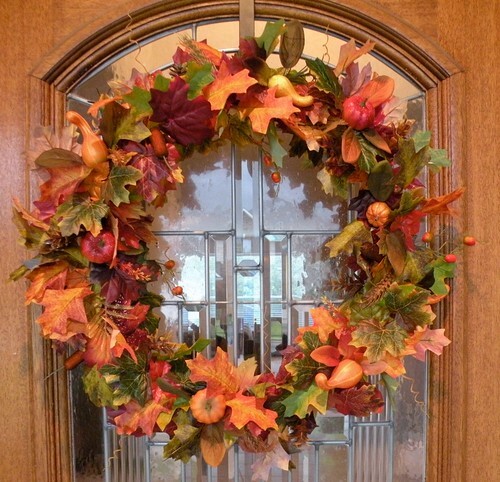 Karin also sent me some photos of her wreath she made using my tutorial! I think I’m diggin’ it even more than mine on the front door. a) wanting to copy me! c) sending me the pics to post here at HoH! If anyone else makes any craft based on anything I’ve posted, I’d love to see it! It would be an honor to post them here and show everyone! Karin is one of the most naturally talented people I’ve ever known. No matter what she puts her hand to it comes out beautifully. But the best thing about Karin, is one of the most gunuine people you’d ever meet. It is cute on the mirror! 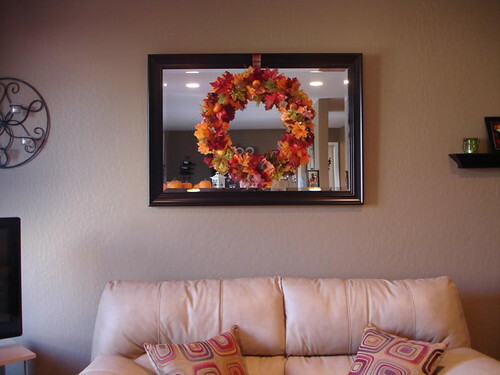 Now I want a mirror to hang a wreath on! !